Outdoorama has always been my favorite event for many reasons. The Outdoorama show venue out in Novi is well done and has been a proven outdoorsman crowd pleaser for many years. 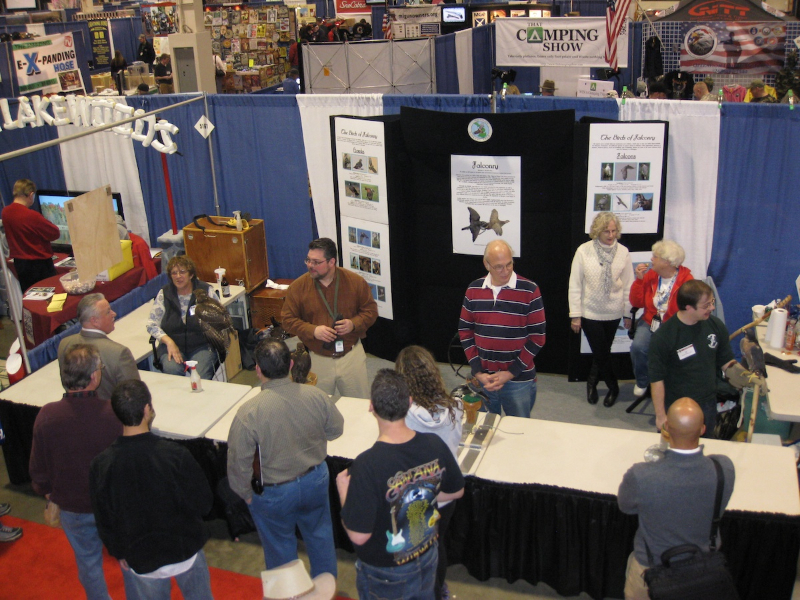 I also got my first introduction to the Michigan Hawking Club at this event many years ago when I started out as an apprentice. 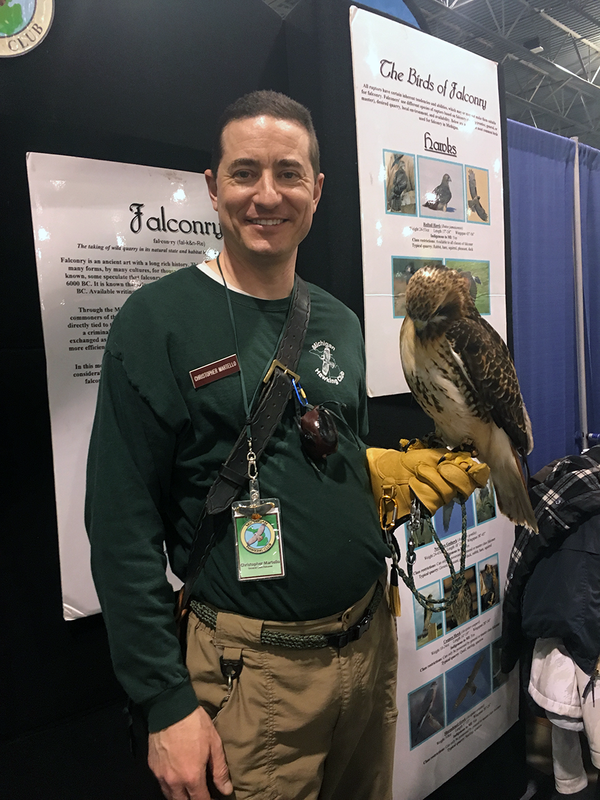 The educational fun is also a big plus with many folks stopping by the Hawk Club booth in order to check out our raptors and to learn more about falconry in Michigan. Many folks are surprised to learn that the sport of falconry is alive and well in the state of Michigan and that people actually practice falconry. The M.U.C.C. Outdoorama was this February 22-25 at the suburban showplace collection in Novi, Michigan. This is an annual show event that provides a wonderful educational experience for folks who are interested in the outdoors and outdoor recreation. It’s always a good time to introduce folks to raptors in an up close and personal manner. Recently I had the most wonderful opportunity to give a Falconry Presentation to Cub Scout Pack 37 in Lake Orion Michigan. As my son and I are now involved in Cub Scouts, this was a great opportunity to present some basic falconry concepts to some young learners. 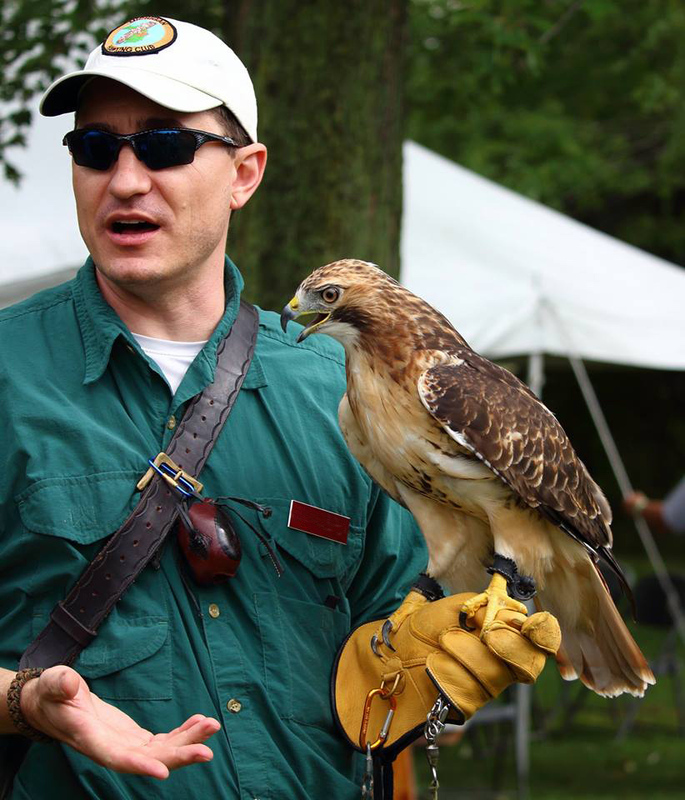 Educational programs about falconry, or “Hawk-Talks” as some of us like to call them are a great way to expand young peoples’ appreciation of animals. Discussing aspects of falconry and hunting also opens up concepts of ecosystems and food webs in the wilderness. It is a rewarding experience to know that you were the person who first introduced someone to the magic of all that nature has to share with us. While there are some aspects of falconry that are difficult for children achieve and master due to the responsibility, time, and monetary demands, there are other concepts that can be taught to children that can be made easy to understand. There are many other wildlife lessons and learning opportunities for children in the sport of falconry; you just need to frame the content and concepts at their level. Food Webs, Predator-Prey Relationships, and natural selection are just a few of these topics. With a little effort and thought, meaningful lessons can be taught from the world of falconry that children and other family members can take with them. One of the most common questions I get as a falconer is: “How did you get into falconry? What made you want to do that?” There are lots of personal reasons for doing so, but my number one reason for becoming a falconer is that I love birds of prey. When it comes right down to it, I hold a deep and healthy respect and admiration for these birds that I can only describe as love. I enjoy learning about their different personalities and I enjoy being out in nature as a participant with them. I use this passion in my educational talks in the hopes that young people might learn to enjoy the natural beauty found in the wilderness. There are many wonderful things to bear witness to in nature such as the way the plants and trees grow into oddly shaped branches, the way that the moss and lichens color the tree bark, and the varied degrees of color displayed by shelf fungus and mushrooms. I make sure to include these observations as part of my presentations. The things that you can see out in the woods can be found nowhere else, and are only found off the beaten path. The sport of falconry also provides opportunities to discuss and educate young learners on food webs and ecology. The purpose of the hawk hunting rabbits or squirrels is so that they can eat and survive. The game of survival in the wilderness is a high-stakes game where the winners take all and the losers get eaten. The hawk plays the role in the ecological food web as the top predator. As the apex predator, their job is to keep the little critter population in check. Food webs that show the animals and trees in forests or marsh habitats contain many prey animals, but only a few predator animals at the top. I like to think of falconers as observers in the natural predator-prey relationship that plays out every day in the wilderness. The privilege to be a close hunting partner with the hawk is one of the most rewarding aspects of falconry for me. When I re-tell these tales of my falconry adventures, it is my hope that the audience can really get good picture of how enjoyable the sport of falconry can be. 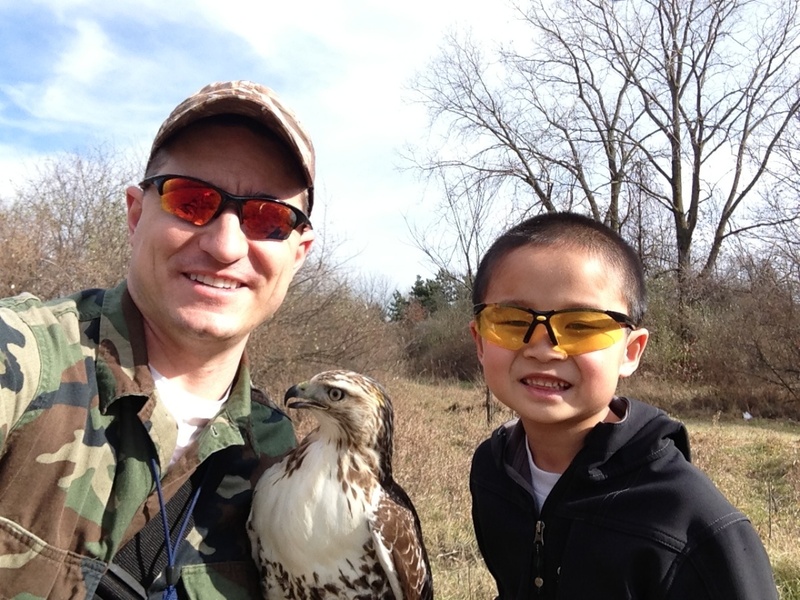 Falconry as a sport rewards me every day that I interact and hunt with my raptor. The joy of educating other folks about raptors and falconry is an additional personal enjoyment that only comes from sharing the things you love with others.